If you need more warmth on your camping trip, construction site, garage, farm, or any other open space, you have come to the right place. 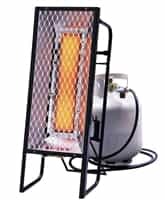 We have an extensive array of shop heaters, and you will be sure to find one that meets your needs. Little Buddy Heater, 3,800 BTU/Hr. If you are looking for something propane-powered, take a look at the Single Tank Top Propane option by Mi-T-M that we offer. If you are looking for something similar, but smaller and easier to move, you may be interested in the MH15 option. If you are looking for a gas run option that is safe to use indoors, check out the Vent Free 10,000 BTU Radiant gas option. These items are just a few of the selections that we offer, so take the time to browse through our entire array of shop heaters, so that you can find exactly what you are looking for. We offer high quality selections from trusted and reliable brands, so you will know you are getting a top quality product when you buy from us. If you are not sure what item is best for you, come into one of our stores or give us a call. One of our staff members would be happy to assist you in finding the perfect option for your indoor or outdoor heating needs. At Best Buy Automotive, our customers are our number one priority. This is why we only sell the highest quality products at the most affordable prices possible. If you take a look through our selection, you will see how low our prices are compared to other retailers. However, if you find yourself without enough cash on hand, you have no need to worry. We offer 6 month interest-free financing, so you can avoid paying interest. Many of our items also come with free shipping, which will save you even more. 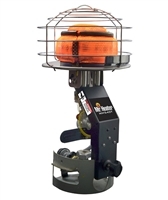 So before you go looking for shop heaters at another location, check out our varied selection. There is a reason we have been in business since 1987. We offer products of top-notch quality at prices you can afford.